I voted! Yay! I can't wait. Those look like some interesting titles to the recipes. Can't wait to see what wins! Oh, they look wonderful and I totally voted!! I voted too. Can't wait to see the recipes you choose. Just voited..can't wait to see all these wonderful recipes. Just voted and am excited to find out the results. Good Luck with your Dipstock event. What a great job you have….yummy recipes, etc. Hope I picked some winners!! So hard to decide – so many good recipes… I am anxious to see your results! What fun! 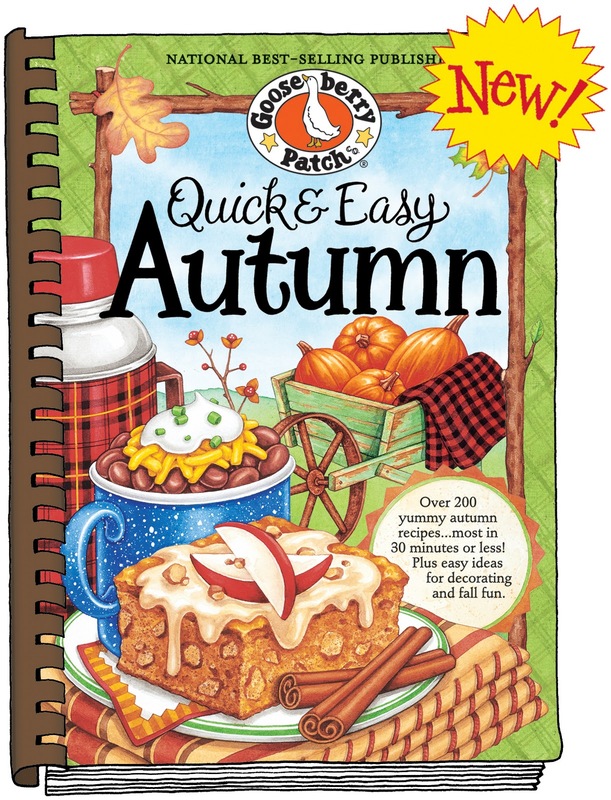 I love Autumn with all the good foods and pumpkins – everything! I just love Gooseberry Patch. I just built a two week meal plan based on there "Slow Cookers Casseroles & Skillets" book. It's funny that I found this on the same day. Good luck on your recipe quest. Just so you know…brown sugar on bacon is sooo good. Add a pinch of cayenne pepper too. Soo yummy!! I just voted. I'm anxious to see the results. Bless your heart for allowing us to pull up a chair to your sweet kitchen table to help you narrow down what recipes might be tried out of the new Autumn book. You are such a super cook and are one of my most favorite bloggers – am looking forward to what you do!